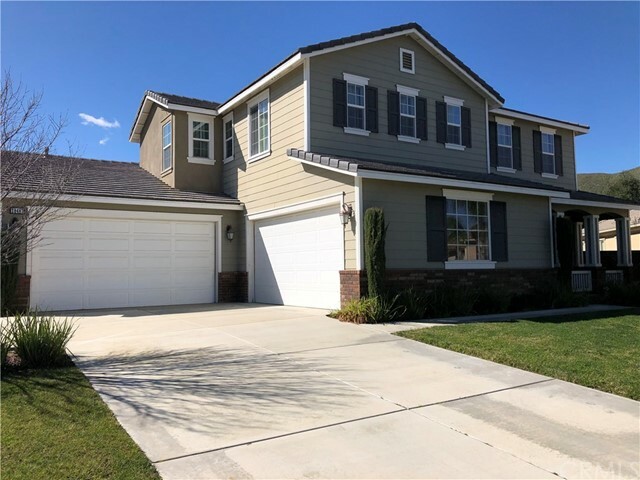 All Romoland homes currently listed for sale in Romoland as of 04/18/2019 are shown below. You can change the search criteria at any time by pressing the 'Change Search' button below. "This is one of the most beautiful country homes you'll see! The homeowners pride and meticulous nature shines through in every detail of this home and property! 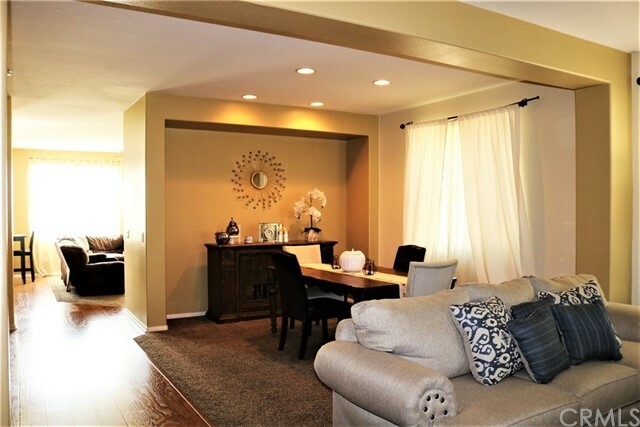 Three large bedrooms, 2 1/2 bathrooms, a beautiful light and airy bonus room. The bonus room has three skylights, and could be used as an office, exercise room or even a 4th bedroom, ( no closet in this room). New paint, flooring and carpet throughout. The kitchen is spacious with Corian countertops recessed lighting and hickory cabinets"
"WOW... 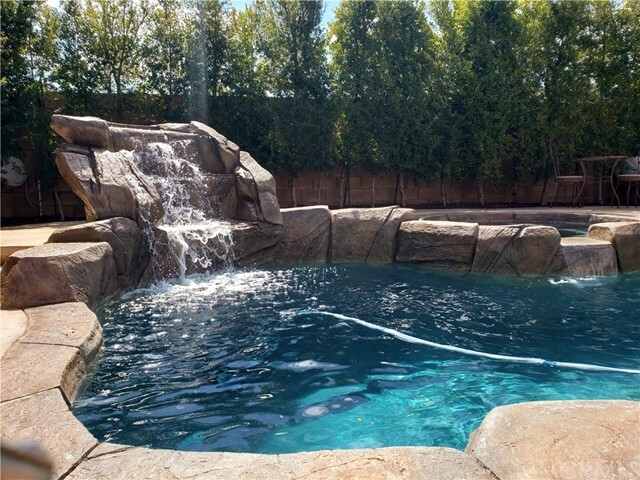 POOL, SPA, & HOME THEATER!!!!! 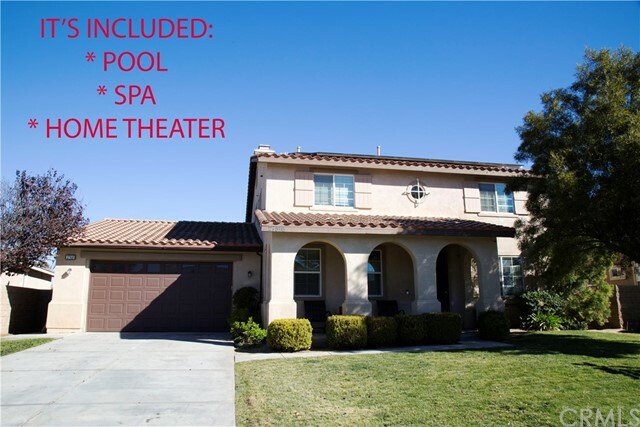 This extra spacious home features 5-bedrooms, 3-bathrooms, bonus room, home theater, covered patio, pool and spa! The entry area has a new weathered wood accent wall. There is a huge bonus room with two sets of double doors perfect for office, game room, home gym, or extended family. The home theater room is complete with a wall-to-wall 8' X 14' movie screen, projector, and Bose surround sound system. The kitchen/dining area has lots of cabinet space, a big "
"This beautiful six bedroom four bathroom home not only provides you a spacious home for your family, it offers a great community with top local schools and resort style amenities for you to enjoy! Located in Heritage Lake with miles of walking , parks, and playgrounds. A welcoming floor plan leading to the family room and kitchen with large island with barstool seating, granite counter tops , recessed lighting, stainless steel appliances microwave, double oven and walk in pantry. 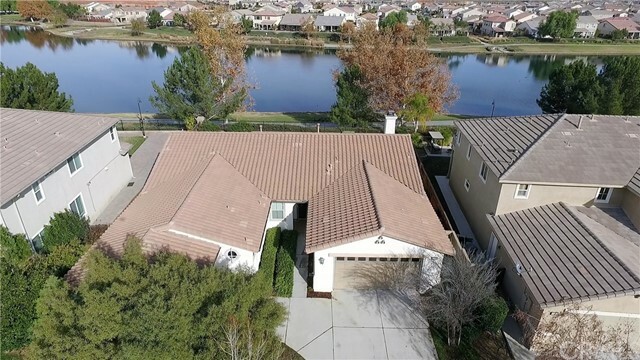 Downstairs you "
"***CLICK THE LINK ON THIS PAGE TO SEE PROMO VIDEO*** Welcome to Newbridge in Menifee s highly desirable Heritage Lake! 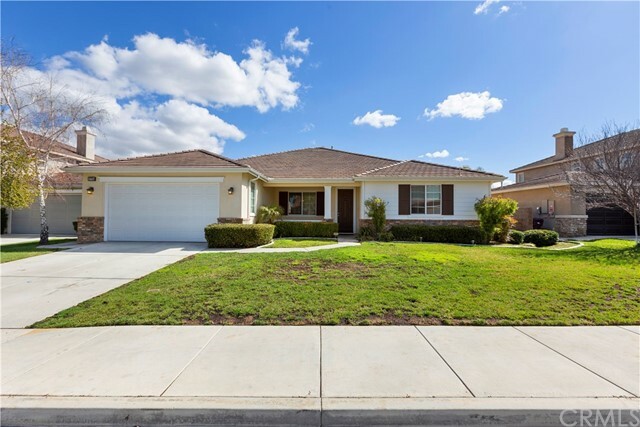 Here you ll find a beautiful community with private lake, pool, splash pad, community center, & many wonderful walking paths that all lead to spectacular parks and award-winning schools. 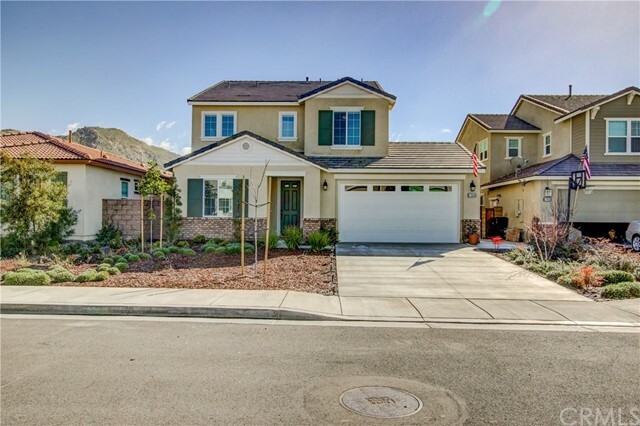 Come explore this charming single-story 4-bed, 3.5-bath home. Inside, you ll be graced with high-end appointments and an open concept design. A forma"
"Rare Find, Luxury LAKEFRONT Oasis in the Sought-after Community of Heritage Lake. 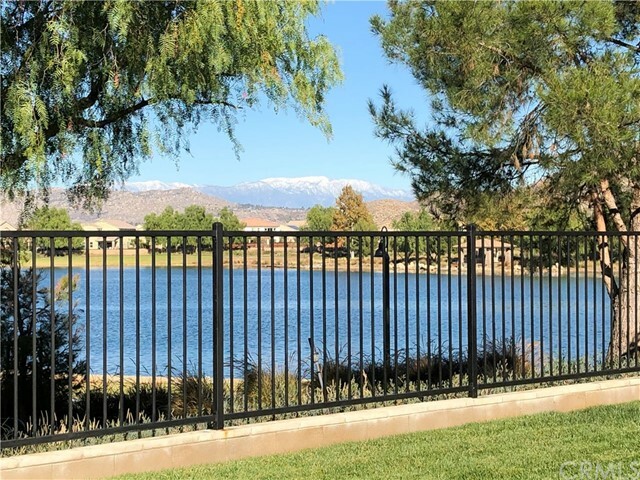 This Highly Desirable, Large, Single Story Masterpiece sits on an Oversized & Fully Professionally Landscaped (+/- 9100sf) Lot, Overlooking the Lake. It is Well Appointed with Thousands of Dollars in Upgrades, providing much Better Value Than New Homes in the area. This is Affordable Elegance at its finest, with Sit-Down Lake Views from within Every Major Room of the House. Seamlessly Entertain inside & out as you "
"* LARGE LOT * SOLAR - NOT LEASED * Save thousands on electric bills * Pristine and beautiful single story located on large lot in the Newbridge community at Heritage Lake. Only 2 years old with lovely curb appeal featuring an arched entry with tile detail leading to a courtyard featuring a fountain. Upon entering you will admire the open concept this home offers. Neutral paint and plantation shutters throughout. Solar in place (not leased). Tankless water heater and a 3-car tandem garage! Kitche"
"Life just got better in this beautiful 2 story home! Masterful design and luxury are uniquely embodied in this 5 bedroom 4 bath home with 3408 SF of living space! This home presents with tons of natural light, soothing paint palettes and an incredible open floor concept! The island kitchen features granite countertops, SS appliances, wall ovens and rich wood cabinetry. Truly stunning home throughout! Look no further! This home is everything you've been dreaming of and more!" 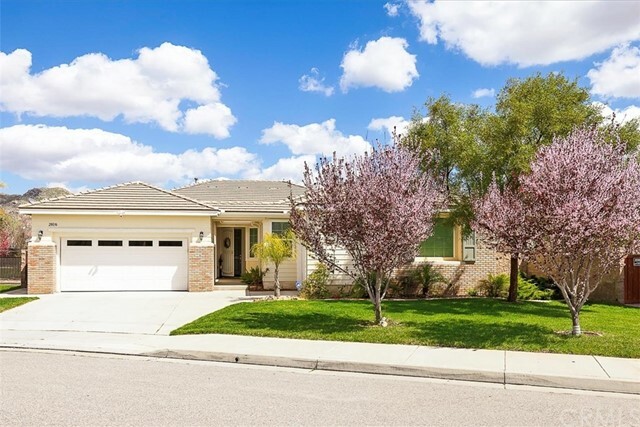 "A beautiful home located in a cul de sac with the large sq ft and a huge premium lot. 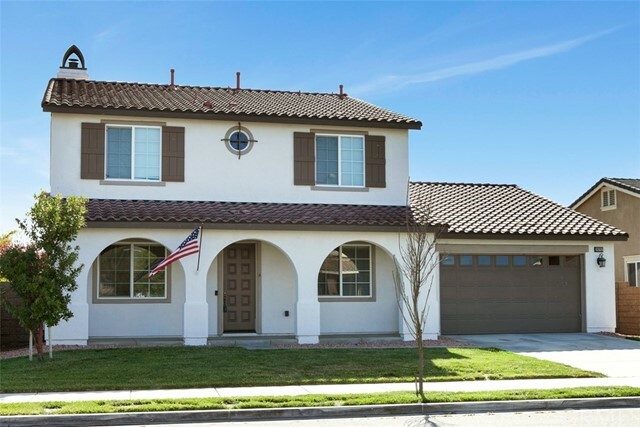 This home features 5 bedrooms 3.5 bathrooms with 4 car garage. First level of the home has 1 bedroom with it's own bathroom perfect for an elder family member. It has an office area with light ceiling fan, has a spacious living room, high ceiling, formal dining area, family room with ceiling fan and a cozy fireplace. It also has a powder room for guest. Kitchen has a big granite counter top island, recessed lig"
"4 bed/3 bath pool home w/open floor plan. 3 car garage with epoxy floor. Gated RV pkg on the side yard with it's own automatic gate opener so you can come home from your long weekend and pull on in. Solar panels installed and completely paid for. WooHoo!! No out of control electric bill worries here!!! Xeriscape front and back landscaping creates beautiful curb appeal w/out a lot of maintenance. Just come home from working hard all day and enjoy. This is the home of your dreams! Huge kitchen wit"
"LAKEFRONT PROPERTY! Located in the HIGHLY DESIRED Heritage Lake community; this single story charmer has incredible lakefront views! Featuring 4 spacious bedrooms and 2 1/2 bathrooms with over 2600 square feet and a three car garage! 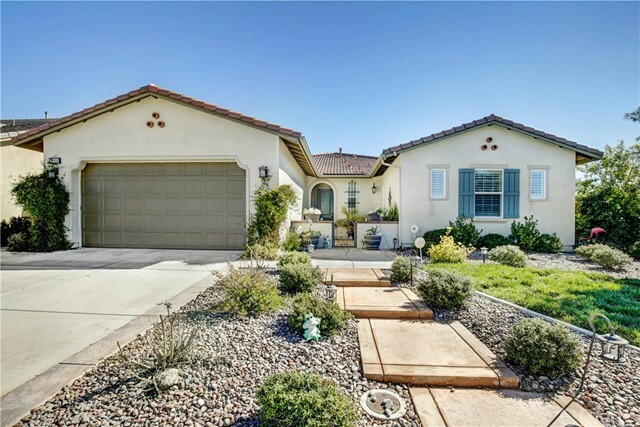 This incredibly charming home has a fantastic patio great for entertaining! 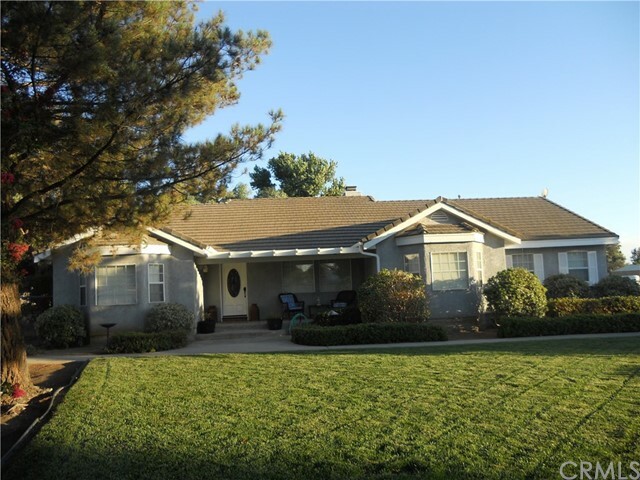 The backyard is professionally landscaped sitting on an oversized 8712 sqft lot. Enjoy the unlimited sunsets on this gorgeous lakefront property!" 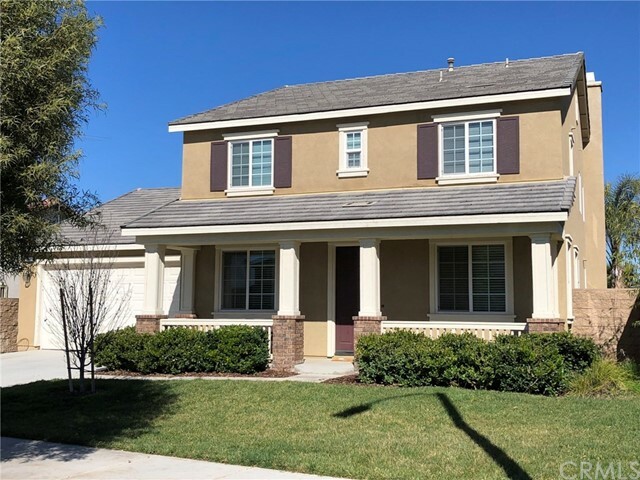 "Seller offering credit at closing to beautify the backyard of fantastic four-bedroom, four-bath, 2-story home in prime location in Heritage Lakes! Large lot with gorgeous scenic views of the mountains and landscape from the master bedroom window. Open and functional floor plan with inviting formal living room and dining room. Chef's kitchen boasts beautiful granite counter tops with dark wood cabinetry overlooking a spacious family room. Updated appliances include stainless steel Kitchen-Aid ref"
"Beautifully upgraded 5 BR + BONUS ROOM, 3 1/2 BA, 3255 Sq. Ft. (2 Bedrooms downstairs) is now ready for viewing! NEW waterproof LAMINATE in Living Room, Dining Room, Family Room, 3 Full Baths and Laundry Room; NEW neutral-colored carpeting in All Bedrooms and upper level Bonus Room; NEW GRANITE COUNTERS in Kitchen and all Baths; NEW STAINLESS STEEL appliances; NEW FIXTURES and Garbage Disposal; NEW Doors and LIGHT Fixtures; NEW custom-colored PAINT throughout; Tile Entry with Decorative Custom S"
"Beautiful solar home located in the desirable Heritage Lake Community. Excellent location near to schools, shopping, & entertainment. Leased solar system can make your meter run backward... and with ceiling fans in every bedroom, you'll stay cool AND save energy!! 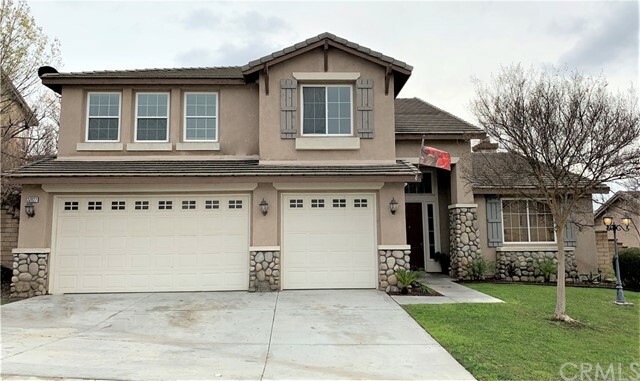 This stunning home has 4 Upstairs Bedrooms, plus one downstairs bedroom currently being used as a den; plus Family Room with Fireplace, Living, and Dining Rooms. The large chef's kitchen is beautiful with center island, dark wood cabin"
"Beautiful single story home located in the subdivision of Southport in the highly sought after community of Heritage Lake! Walk into this gorgeous turn-key home which has 5 bedrooms 2.75 bathrooms with office, tile flooring, custom window coverings and shutters. When you walk into the large open kitchen you will see extended counter tops and cabinets. Master bedroom has it's own on suite bathroom with large walk in closet. Bathrooms have upgraded tile counters and laundry has extra cabinets for "
"Welcome home! 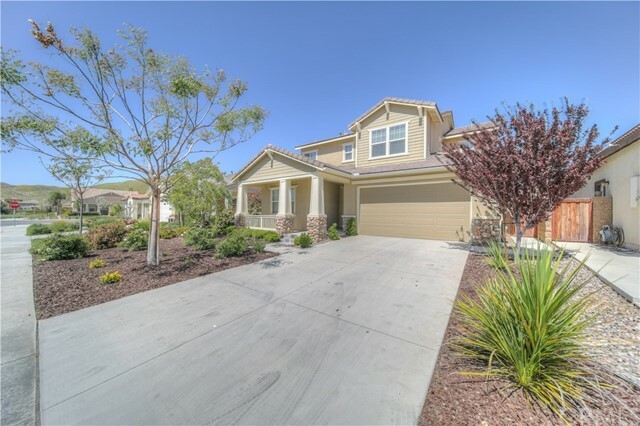 This beautiful home which sits on a quiet cul de sac, was just built and ready for a new owner! 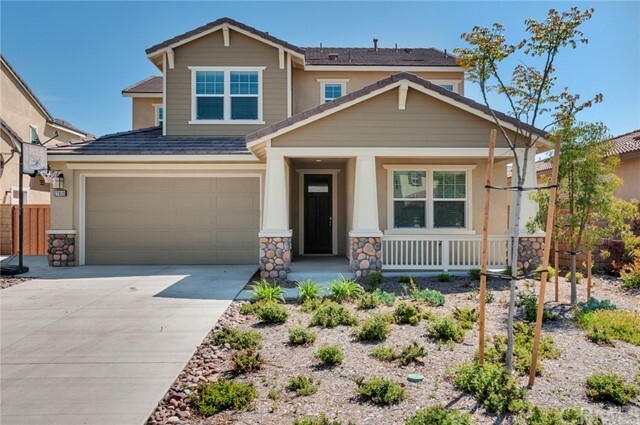 Built in 2017, this home has tons of features and upgrades that you will love. 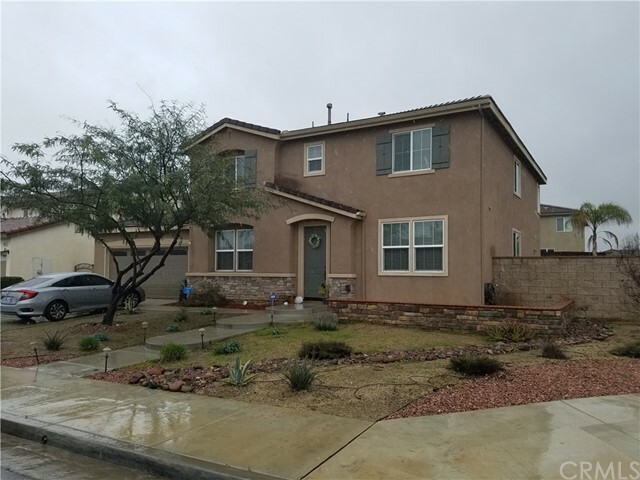 Granite counter-tops, huge walk in pantry, upgraded lighting, alumawood patio, fresh new sod in and concrete in the backyard and so much more! Upstairs you will find plenty of room with the large loft and spacious bedrooms. The huge master bedroom and bathroom also feature a large walk in closet and large show"
"**Price Reduced** Get your checklists ready for this one! 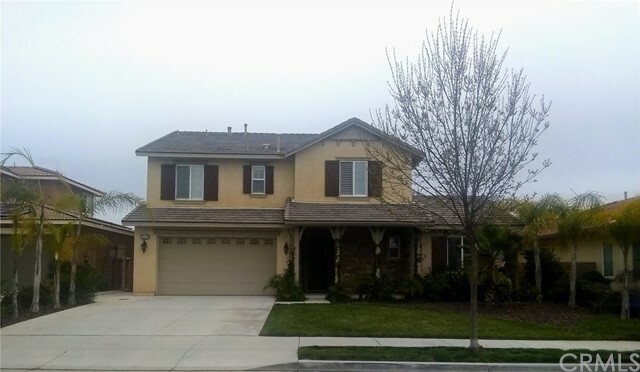 This stunningly beautiful 4bd/2.5 bath home is ideally located near the end of a cul-de-sac and is so tranquil and peaceful, it will surprise you. With immediate access to serene walking paths, schools, community parks and playgrounds you are sure to get off your electronics and enjoy the outdoors. The Heritage Lake community offers their residents a wonderful community center complete with a pool and splash pad. The beautifully kept lake"
"Beautiful and highly desirable Heritage Lakes single story home.Large open floor plan which features a large Living room with fireplace, eating area in kitchen, Center island, master suite with large soaking tub and walk-in closet, tandem 3 car garage, great yard that backs to walking area with no one behind, HOA includes lake with paddle boats, catch and release fishing, clubhouse, pool, playground, walking paths and much more. 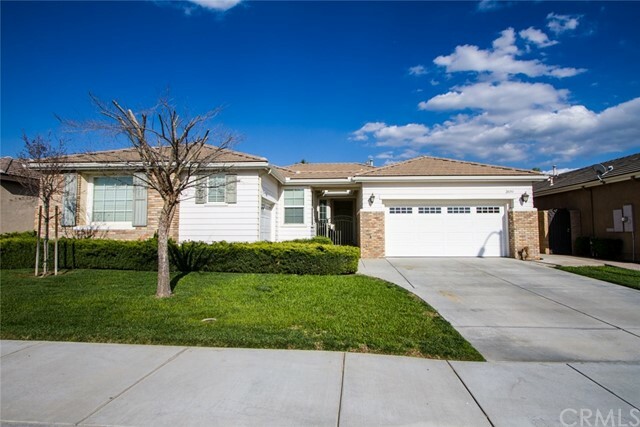 Close to schools (elementary and middle school located within devel"
"Welcome home to this desirable 4 bedroom, 3 bath, single level home that is over 2500 Sq. Ft. of gracious living, located in Heritage Lake, a delightful master planned community focused around a wonderful 25 acre lake. The centerpiece lake is the perfect location for family outings, a leisurely paddle boat ride or an afternoon of catch & release fishing. This home offers a sunny kitchen, complete w/granite countertops, huge island, abundant cabinet space, recessed lighting, built in desk, stainl"
"Welcome to this very inviting two story Cal Atlantic home! Before you enter, you will notice a cozy patio area out front. Downstairs, you will find a full bedroom and full bath in the front area of the house. A separate dining room is found in between the family room and guest bath. The open floor plan from the kitchen allows you to enjoy company in the family room while having access to the kitchen. The kitchen area is large and has plenty of cabinetry, even a built in desk. 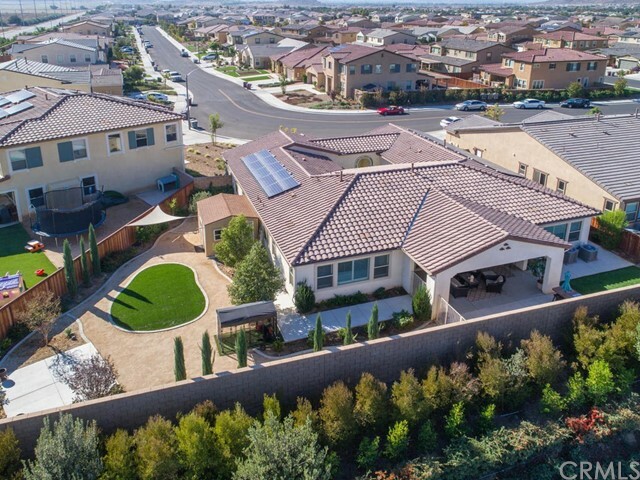 Other features incl"
"Enjoy a lifetime of savings with this Sun Power Solar Advantage Home built by Woodside Homes. Energy-Efficient design features include, built in Roof Solar Panels that blend seamlessly into your roof line, Tankless Water Heater, Milgard Sun Coat Max Windows, Enhanced Wall and Attic Insulation, Radiant Barrier Roof Sheathing, High Efficiency Heating and Air Conditioning with Sealed Ducts. 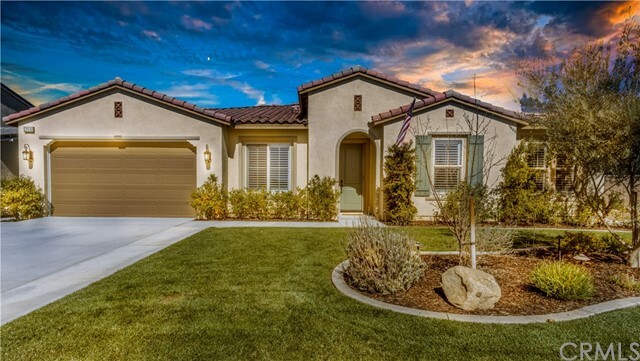 This Highly desirable Reflections home at Heritage Lake Master Planned Community offers award winning archite"
"Come make this home yours today in the wonderful community of Heritage Lakes. The home has a beautiful kitchen that has wonderful granite counter tops, dark cabinets and a nice size pantry. It also includes nice lighting and make this a beautiful area for people to gather and socialize. The family room has a wonderful fire place and area where you can relax after a long day. The downstairs also has a bedroom and a full bathroom where guests can stay. The other 3 bedrooms are upstairs and two bat"
"RESORT LIKE LIVING in the Master Planned Community of Heritage Lake. Immaculate Single Story featuring 2854 sqft with 4 bedrooms and 3 full bathrooms on a 8,712 sqft lot only STEPS AWAY FROM LAKE! Desirable floor plan allows areas for Formal and Casual Entertaining with Custom Built-ins, UPGRADED Surround Sound and Media Wiring. Well Appointed Kitchen has Granite Counter Tops, ABUNDANT Cabinets, Stainless Steel Appliances with Double Ovens and EX-LG Kitchen Island. Sure to please the fussiest co"
"This home is gorgeous! It is a MUST SEE!! Beautiful living room with dinning off the living. Open floor concept with a huge kitchen and plenty of room to entertain the whole family. An amazing fireplace becoming the focal point. You will find 1 bedroom, 1 bathroom in the first level/downstairs, and the other 4 bedrooms, 2 baths in the upstairs. 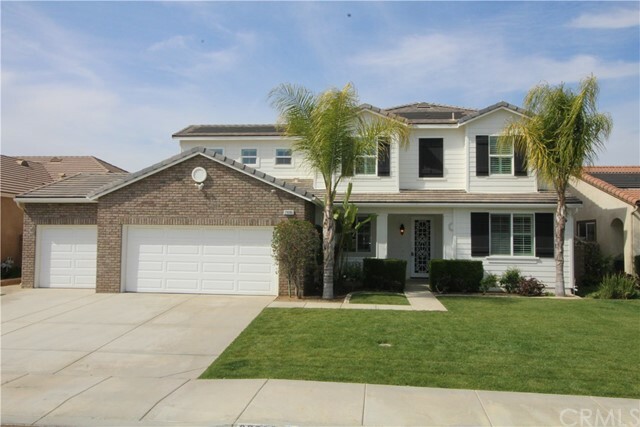 Features include; Hardwood flooring & tile floor throughout this amazing home. Inside laundry room with washer / dryer hookups. A super clean house! (Mor"